The following is a transcript of a presentation that was delivered at a seminar organized by Platinum Real Estate at Suji’s Deli in Azabudai, Tokyo, on April 7, 2011, less than a month after the Great East Japan Earthquake and the explosions at the Fukushima nuclear power plant. Video of the presentation is available here. The presentation summarizes what was known about the effects of the earthquake, tsunami and explosions. It also includes predictions about the short- and medium-term impact of the disaster on the Japanese economy and Japan’s housing market. For more information, see Landed Japan. It’s been four weeks since the tragic events of March 11, 2011. Clearly, it will take years to calculate the full human and economic cost of the Great East Japan Earthquake. But I think we can now draw some preliminary conclusions about its impact on Japan’s residential property market. First, despite the terrible loss of life and property in Tohoku, life goes on in Tokyo and most other parts of Japan. From outside Japan, it’s easy to overlook this fact. The poor crisis communications skills demonstrated by TEPCO and the Japanese government left a large void, and the international media filled it with sensational and often incorrect information. As a result, if you are looking for bargains in the Tokyo area, you’ll probably be disappointed. The vast majority of Tokyo residents are staying put and getting on with their lives. They have little choice. That said, one possible source of bargains is large, expat-style homes. This market segment was hit by the collapse of Lehman Bros. in 2008 and again by the departure of an estimated quarter-million expats in the two weeks after March 11. Depending on how many return, there could be a glut of Western-style apartments, which are not particularly attractive to local buyers. If you are renting an expat-style home, this could be a good time to talk to you landlord about a rent reduction. The departure of the so-called flyjin may also make it harder for non-Japanese home buyers to obtain mortgages. In the past, Japanese banks were reluctant to lend to foreigners because of fears that they would flee. Things had been improving before March 11th. But that progress could easily be undone, particularly if foreigners are seen to be running out on their jobs, debts and other obligations. According to one HR specialist, many of the foreigners who left Japan will have to be back at work this week or risk losing their jobs. There is already a significant amount of anger directed to towards the flyjin on Internet boards, and that could easily spill over into the mainstream media. 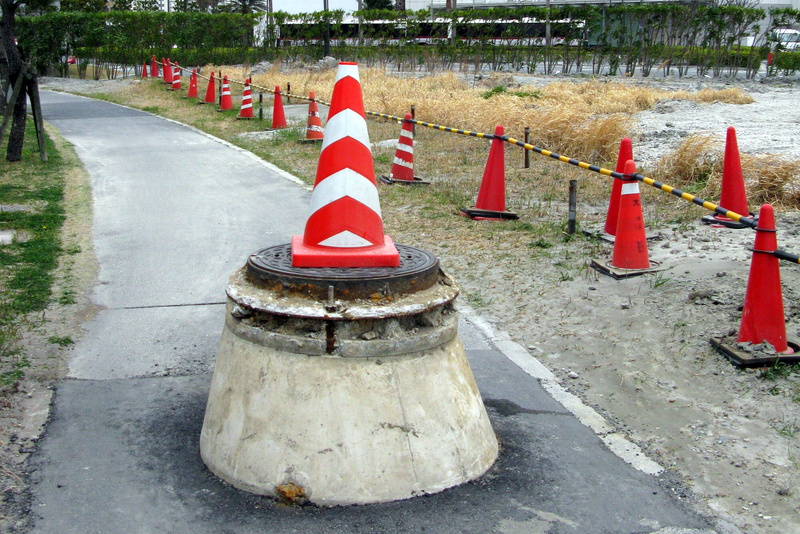 While most of the deaths and damage was in Tohoku, the Kanto region was also affected by the quake and its aftershocks. Fortunately, Japan’s tough building standards were up to the challenge. Only seven people died, 17 were seriously injured, three buildings collapsed and three buildings were seriously damaged. For a city of Tokyo’s size that’s a remarkable achievement, one that will reinforce buyers’ well-established preference for new buildings. Some people are probably reconsidering their decision to live in high-rise apartments after the swaying that accompanied the earthquake and suspension of elevator services that followed it. Electricity is going to be an issue for some time to come. TEPCO lost over a quarter of its generating capacity after March 11th. And because of different line frequencies between eastern and western Japan, there is a limited ability to transfer generating capacity to Tokyo from other parts of the country. That means power shortages are likely during the summer months, when demand peaks. Power shortages will also disrupt global supply chains, affecting production of everything from iPads to automobiles. As a result, this could be a good time to buy home appliances, computers, audiovisual equipment and similar products. You’ll be helping Japan’s economy and ensuring that you get the product that you want. From a practical perspective, people who can walk or bicycle to work—or work at home, for that matter—will have an advantage over those facing a long commute, especially if train schedules continue to be cut back. Energy efficient homes and those with natural ventilation will be more comfortable than dwellings that depend on electricity for cooling. And some neighborhoods may be hit harder by the blackouts than others. The big question is, how long it will take to bring new generating capacity online? It takes several years to build thermal and hydro electric plants. Nuclear generating stations take longer still, if the Japanese public will allow new units to be constructed. The longer it takes to resolve this problem, the more desirable central locations, and places outside Tokyo, will be. Now let’s look at the effects outside Tokyo. As the extent of the Fukushima crisis became clear, some businesses and embassies began relocating staff to Osaka, Kyoto and Kobe. That may prompt you to ask if you should invest in the Kansai region. The short answer is “maybe.” Kansai could benefit from businesses moving people out of the capital. But Tokyo remains the center of political, business and academic life in Japan, and it will be difficult to change that. And any increase in your personal safety is probably an illusion: 16 years ago, Kobe was the scene of an earthquake that killed 6,500 people. And there are six nuclear installations nearby, including the troubled Monju fast-breeder reactor at Tsurga. March 11 was bad news for tourism and recreational property. Arrivals of foreign tourists fell sharply, and carriers like American Airlines, Delta and Cathay Pacific reduced flight frequencies to Japan. There have been media reports of developers offering discounts on ski chalets in Niseko. Incidentally, Niseko is located about 25 miles from Tomari, Hokkaido’s only nuclear power plant. Over the past decade, there have been several incidents at Tomari. And while these were minor compared to Fukushima, they will do little to increase the confidence of skittish overseas buyers. Radiation leaks from the Fukushima power plants are hurting Japan’s food and seafood exports. More than 25 jurisdictions—including the United States, China, Hong Kong and Singapore—have suspended imports of produce from all or part of Japan. That, in turn, is hurting Japanese farmers. As a group, Japan’s farmers are old and the radiation leaks could push some of out of business. As well as adding to the human cost of March 11, this could hasten the rationalization of Japan’s agricultural sector, something that many observers believe is overdue. Which brings us to another question—who is going to pay for the reconstruction? An increase in the consumption tax, from the current 5% to 7%, has already been suggested. You may want to factor that into your calculations if you are planning to build or buy a house, as consumption tax is payable on real estate services, like agents’ commission, as well as, building materials, construction services and the value of the building. The earthquake, tsunami and radiation leaks will have a long-term impact on Japan. But, as the data from the October 2010 census show, the underlying demographic trends driving the housing market have not changed. Specifically, Japan’s population continues to shrink. The population continues to age. The number of one-person households continues to grow, creating demand for small apartments. And people continue to move to Tokyo and other large cities, a trend that may accelerate if the government decides not to rebuild the areas that were affected by the tsunami. Which brings me to the question that I expect many of you are asking: Does it make sense to buy a home in Japan? I think the answer is still “yes,” particularly if you plan to stay in Japan for the long term, you do your research, and you buy with your eyes open. Whether it was rebounding from the effects of the Great Kanto Earthquake of 1923; rebuilding after World War II or adjusting to oil shocks and endaka, Japan and the Japanese people have demonstrated—time and time again—a remarkable ability to recover from adversity. I have no reason to believe that 2011 will be any different. Video of Fukushima, four weeks later is available here.